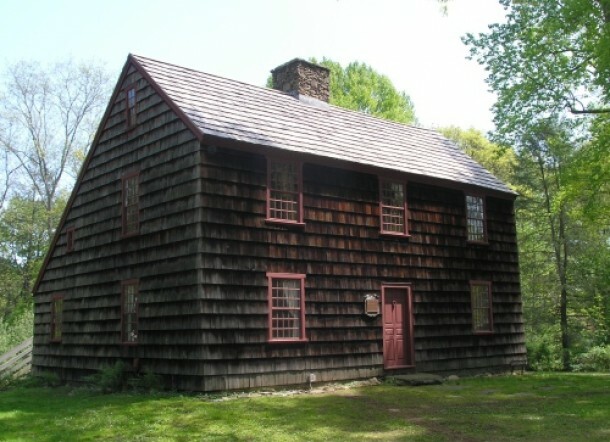 The town of Fairfield, located in Fairfield County, is in southwestern Connecticut on the Long Island Sound and is considered a part of Connecticut’s “Gold Coast.” One of the four earliest towns established in the Connecticut Colony by the English in the 1600s, Fairfield was largely a farming community. During the Revolutionary War, a British fleet anchored off Black Rock Harbor, came ashore, and burned more than two hundred structures. Residents spent the next two decades rebuilding, but many left for the Western Reserve and portions of Fairfield were eventually annexed to form the town of Westport. Today, Fairfield is a suburban residential community and home to Fairfield University and Sacred Heart University. “Ogden House.” Fairfield Museum and History Center, 2016. Link. “Digital Collection: Fairfield Museum Images.” Connecticut History Illustrated, 2016. Link. “Fairfield - WPA Architectural Survey.” Connecticut State Library Digital Collections, 2016. Link. Chace, J. “Map - Clark’s Map of Fairfield County, Connecticut.” 1856. University of Connecticut Libraries, Map and Geographic Information Center - MAGIC. Link. “Map - Town of Fairfield, Fairfield Co., Conn (Petersen Collection).” ca 1850. University of Connecticut Libraries, Map and Geographic Information Center - MAGIC. Link. “Postcard - Old Powder House.” Connecticut History Illustrated, Fairfield Museum and History Center. Accessed November 21, 2016. Link. Fairfield Historical Society, and Barbara Austen. Fairfield. Charleston, SC: Arcadia, 2005. Wilson, Lynn. History of Fairfield County, Connecticut, 1639-1928. Chicago; Hartford: S.J. Clarke Publishing Company, 1929. Papazian, Rita. Remembering Fairfield: Famous People & Historic Places. Charleston, SC: History Press, 2007. Schenck, Elizabeth. The History of Fairfield, Fairfield County, Connecticut. From 1700 to 1800. 2. New York: E.H. Schenck, 1889. Link. Schenck, Elizabeth. 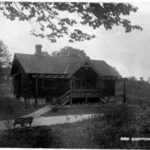 The History of Fairfield, Fairfield County, Connecticut. From the Settlement of the Town in 1639 to 1818. Vol. 1. New York: E.H. Schenck, 1889. Link. Fairfield Historical Society, and Charles Brilvitch. Walking Through History: The Seaports of Black Rock and Southport. Fairfield, CT: Fairfield Historical Society, 1977.